Airfix Forum - What's Your Latest Acquisition? Home > Forum > General Discussion > What's Your Latest Acquisition? Oh dear. That isn't 1/72nd scale. Oh nice purchase Heather I'm mildly jealous! Like you my scale is 1:72nd but I am seriously tempted by this kit as I love the Blenheim. However my Airfix membership has just expired (10% discount adds up) and at the moment can't be renewed so this purchase shall have to wait! I’m not a club member, so I paid full price. I placed my preorder the very day the kit was announced. I've had a good rummage in the box now, and noticed some parts on the sprues that are obviously meant for the bomber variant. I am certain there will also be a MkIV in due course, probably depending on sales of the MkI. I'm sure sales will be good and that is the way with modern Airfix kits to plan for future variants at the outset! Wonder if I'll end up with all 4 like I have with the 1:72nd scale Blenheim's ?? Lifl appear to have some sort of ‘contract‘ or ‘partnership‘ going on at the moment, with Hornby Hobbies, as the Hornby Urban Rambler Train Set is also at for sale st Lidl this week, in their one-off weekly product ranges. I think they're Lidl exclusives. 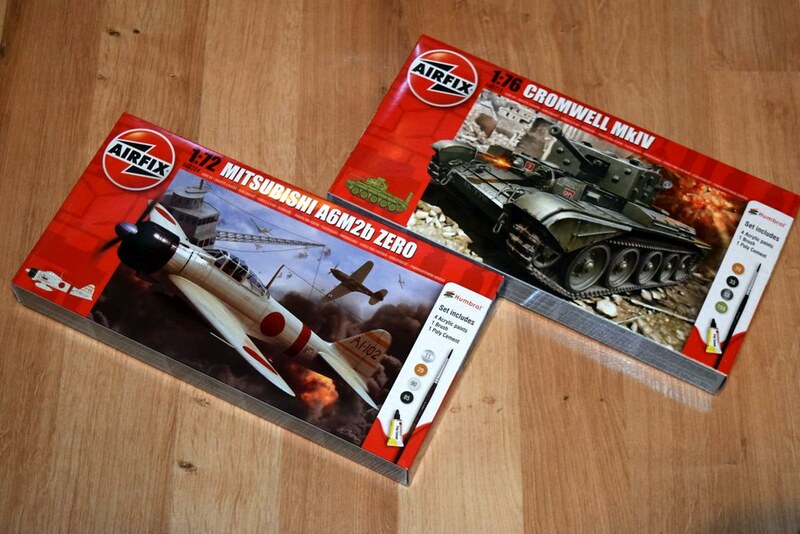 The Airfix kits have packaging and contents that I don't think you'll find anywhere else. Airfix had a similar arrangement with Hobbycraft a few years back. For a fiver they're an absolute steal. Unless somebody goes to Lidl and buys them in large quantities to resll, via eBay! The two kits in your image that was Posted at 18:46:05 Sat, 17 Nov 2018 (UK time), only cost £5.00 each? Why are they so cheap? Do they have fewer smaller parts than usual, or something? In other words, are there more larger parts inside the box, to the cost down? Another difference is there's less detail?